716 Island Court is an ocean court town home with 3 bedrooms, 2.5 baths, and a direct entry 2-car tandem garage. Located two doors from the ocean and on the first and third floor, this home has truly incredible views. A full expanse deck provides an amazing panoramic vista. Enjoy your morning coffee or tea with picturesque white water views and after a great day of sightseeing or playing on the beach, bask in the glow of Mission Beach and the Bay. From the roller coaster at Belmont Park to the mountains in the East and the beautiful sunset in the West, this home allows you to see it all. The uniqueness of this buildings floorplan is a little tricky to explain, but it goes like this - 716 Island Court occupies half of the first floor and the entire third floor. The 3rd floor has the main living space with the kitchen, dining area and living room, private laundry, 2 bedrooms and 2 full bathrooms. The living room and dining area have direct access to the full length view deck. Dining seating inside for 6 persons and dining seating on the outside deck for 6 persons. A private interior staircase and a gated outdoor staircase offer both privacy and security during your stay. For your outdoor cooking pleasure, Ocean Mist has its own gated ground floor patio with a built-in gas BBQ and direct patio access to the interior. If you want to enjoy the view and be closer to the kitchen, we also provide an electric BBQ on the view deck. The outdoor shower lets you rinse off the sand, salt water, and sunscreen of the day. The décor features new wood grain tile and plush new carpet in the bedrooms, alder wood cabinets in the kitchen, lots of light and windows with great style and fun color schemes. Amenities include a full-size stacked washer & dryer, cable TV, WIFI, central heat and air. There are also flat screen TV’s and a fully equipped kitchen with extra cupboard space. Everything you need in your home away from home is here for you! Planning a family reunion or larger group trip? Both 716 Island Court and 718 Island Court can be rented together to create one large living space for an occupancy up to 15. Check with us at PSGrentals com. There is a shared 4 car garage with designated tandem spaces to park 2 cars each. Together, these two properties are perfect for big families, birthday celebrations, special anniversaries, and any other beach front occasion. Check with us at PSGrentals com. Looking to escape from it all for a while? Remember, the beach is only two houses away! The dining area seats 6 indoors or 6 outdoors on the deck. Exclusive use ground level patio, full width ocean view deck, and private bedroom balcony. It was lovely perfect location! Clean was truly awesome vacation. Lots of stairs tho you get your exercise in. Would definitely come back. Pictures don’t tell you enough and how close you are everything. We're glad you enjoyed your stay! Ocean Mist is pretty close to everything which makes it one of our favorite properties. :) We hope to see you again soon! A very nice and affordable place to stay. Our group was 5 adults, my husband and I, and 3 kids in their 20's. We loved the location and were able to rent a car and get around with ease. There are plenty of bedrooms, and bathrooms, two showers and a very clean place. It is 1/2 a block from the boardwalk and we felt very safe and comfortable there. within one mile: groceries, liquor, beach, gym, shopping, and the beautiful Fashion Valley mall is 5-10 min away. You are in need of nothing. We all spent a lot of time on the boardwalk walking, biking, running, people watching. The Belmont park is one block away with a lot for kids to do, and some shopping. Lots of restaurants very close, with very good food. I'd recommend NOT renting a full-size SUV- the garage is about 2 feet wider than 2 vehicles. You have to be skilled and brave to park in the garage. I believe many places are like that. It was nice to have a garage remote and keypad entries. We could all come and go as desired. My son who slept in the ground floor bedroom was an achy sore mess after sleeping on the bunk/s He went back and forth between the two and needed Ibuprofen every morning to get the kinks out. small kids would probably be comfortable. You must climb to third floor each time you come or go, so beware if you have mobility issues. It wasn't a problem for us. Also grilling is outside on ground level so the cook has to go up and down with the food too. All of these were non-issues, but worth mentioning. 1. our wifi didn't work so we had to pirate the adjacent unit's- not an issue, because they were owned by the same group. 2. Our Washer didn't work, and it wasn't taken care of the whole week. I was in communication with the management but I ended up washing what was about 2 full loads in the kitchen sink and then drying for hours in the drier. I HATE laundromats and refuse to spend my time in one, guarding my stuff. I felt that should have not been an issue, we were told someone came by, but if there isn't someone to let him in... again, not spending my time waiting in case he comes. Also, we are on the 3rd floor and the entries are on the ground floor. If someone came we were unaware. I was told after we were home in MN that it would be fixed soon... OK- Great! I always try to wait a few days after returning home to review so I can be objective and not overly critical. Without the laundry issue It would get 5 stars. I would say that we would definitely return. We're so sorry to hear about the laundry issue and hope you enjoyed your stay with PSG Rentals regardless. Thank you for your review and we hope you choose PSG Rentals again so we can make your next vacation better than the last! 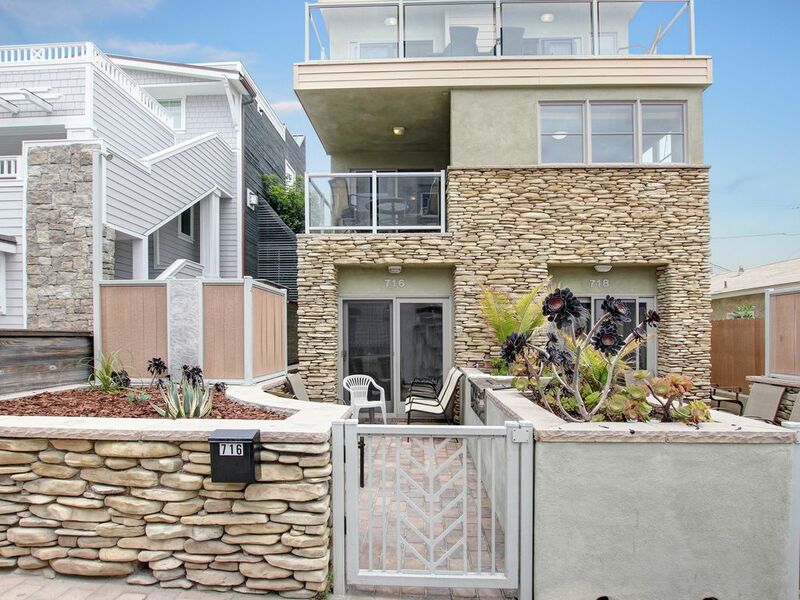 This is quite an impressive unit and so close to the ocean and Belmont Park. Convenient and well furnished. Our family loved it and we have already booked for next year. better than the year before. Well stocked, great location and affordable! This is our family favorite. We also include local attraction information on our website. Credit card (CC) charges will be refunded to guest if guest pays with eCheck.